Criminalizing homelessness: Justice Department tells cities to stop. Criminalizing homelessness may constitute cruel and unusual punishment, in violation of the Eighth Amendment. Different cities deal with homelessness in different ways. Some expand shelter space. Some increase access to social services. Some criminalize homelessness by arresting homeless people for sleeping outside—alleging that they’re violating anti-camping ordinances. Last Thursday the United States Department of Justice filed a statement of interest in a federal lawsuit against Boise, Idaho, for enforcing anti-camping laws against homeless people. The DOJ argues that enforcing these measures against the homeless violates the Eighth Amendment’s prohibition of “cruel and unusual punishments” if nearby shelters are filled to capacity. While the case is unlikely to reach the Supreme Court, the DOJ’s brief should at least put cities across the country on notice that criminalizing homelessness is constitutionally suspect. The DOJ’s argument rests on two key Supreme Court cases: Robinson v. California and Powell v. Texas. In Robinson the court struck down a California statute that criminalized addiction—not just use or possession—of narcotics. California, the justices explained, could outlaw the conduct of drug use, but it could not criminalize the status of being addicted to drugs. California could certainly ban drug use. But it could not send people to jail simply for being addicted to drugs. Powell dealt with a similar law, one that criminalized public intoxication in Texas. In his controlling opinion, Justice Byron White wrote that the statute is constitutional as applied to voluntary public drunkenness—like a blotto amble home from the neighborhood bar. But if the statute were applied to “a chronic alcoholic with an irresistible urge to consume alcohol,” it would unconstitutionally criminalize his involuntarily conduct. 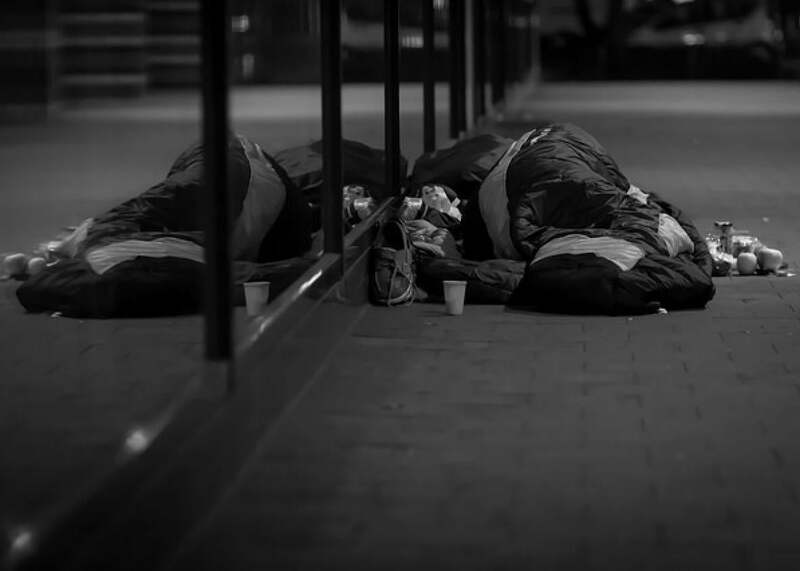 Taken together, Robinson and Powell strongly suggest that cities are constitutionally barred from arresting homeless people for sleeping outside when shelters are full. Homelessness, after all, constitutes a status, not conduct. And when shelters are at capacity, homeless people have no choice but to sleep outside. To arrest them for doing so would be tantamount to criminalizing homelessness, a quintessentially cruel and unusual punishment. It’s quite depressing to see the DOJ defend homeless people’s right to sleep by analogizing them to drug addicts and alcoholics. But its brief is really an indication of just how profoundly America has failed its homeless communities. In some developed countries, the government has a constitutional duty to provide shelter to the homeless. In myriad American cities, homeless people turned away from a shelter are arrested for sleeping outside.